The latest information and communications technology invades the city's fairgrounds. For three days, ICT professionals, researchers and scientists in this sector are meeting in Madrid to present their products and innovations, share experiences, and attend the lectures, conferences and demos going on in the Ifema pavilions. 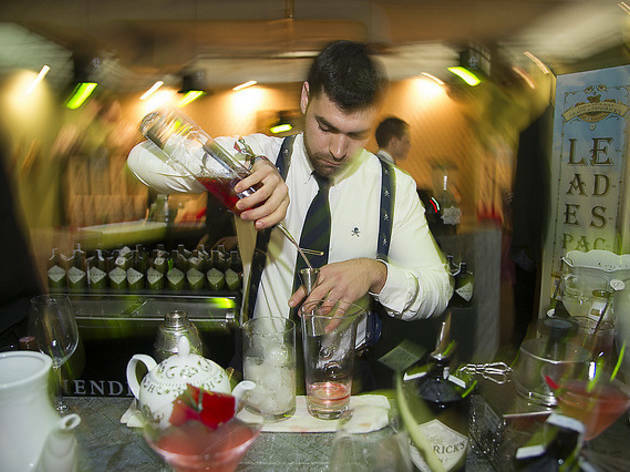 Great chefs, sommeliers and bartenders gather in Madrid to present their latest innovations and share tips and cooking techniques. 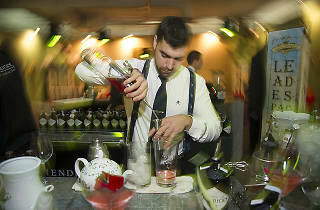 The cooking demonstrations and food tastings are the main attractions of this event, a must for lovers of good cuisine. A unique opportunity to try new flavours and surprises made personally by fantastic chefs. During Architecture Week, the most emblematic buildings in the city open their doors to hundreds of enthusiasts, tourists, and anyone curious about architecture. For a week there are organised itineraries to help you discover the hidden beauty within Madrid's edifices, talks with reputable professionals in the sector, and award presentations. Kids who come along can also enjoy activities specifically tailored for them. This contemporary art fair is one of a kind in that it encompasses so many disciplines: photography, video, and sound projects, graphic novels and design. The ample halls in Matadero Madrid serve as host to this annual cultural event that hundreds of art lovers flock to. Following the success of the first edition, this fair dedicated to video game lovers is back. Organised by Ifema and the Spanish Association of Distributors and Publishers of Entertainment Software (aDeSe), the event gives gamers the chance to try out the latest in consoles, play games that haven't been released on the market yet, and put the pedal to the metal in virtual race car simulators. Bonus: this year they're in a larger pavilion. For three weeks, Madrid is transformed into the capital of dance. The city's stages host all styles of dance, from classical ballet to the most contemporary choreography, as well as traditional dance and flamenco. The best way to avoid missing your favourites is to keep your eye on the programme schedule on the website. Los anticuarios muestran sus mejores tesoros al público general para su venta, entre los que destacan muebles, objetos de decoración, pinturas, esculturas y una colección de joyas con un mínimo de 100 años de antigüedad, incluyendo los estilos Art Decó, Art Nouveau, Eduardino, Alphonsine, etc. It's all about the kids at this educational entertainment fair designed so the little ones learn while having a great time. Aimed at families with children from 1 month to 12 years old, the fair also invites parents to join in the fun with their kids. It's a brilliant way to ward off the winter chill with the whole family. Groups of children also come from different schools all over the city.